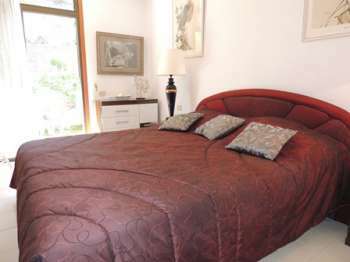 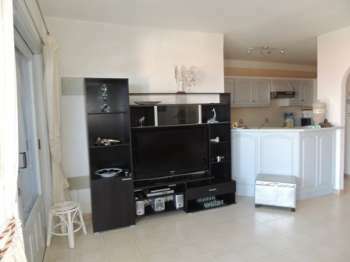 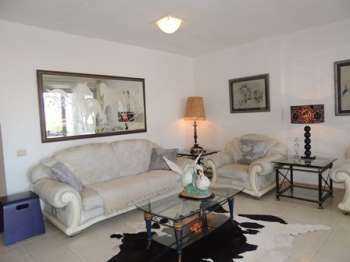 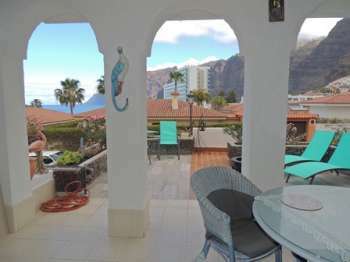 Large three bedroom apartment on the exclusive Crab Island. 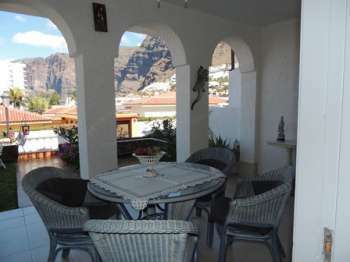 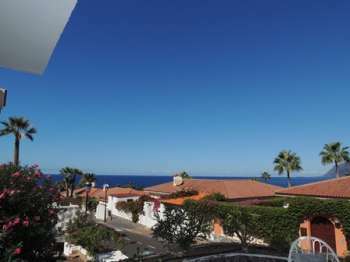 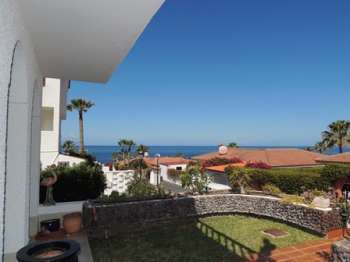 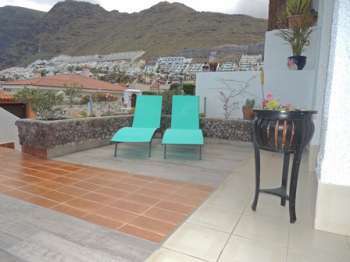 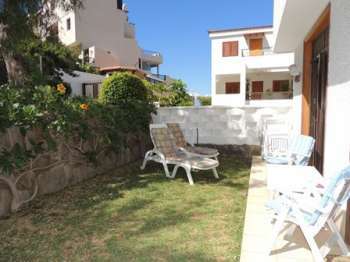 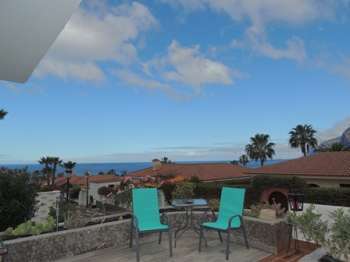 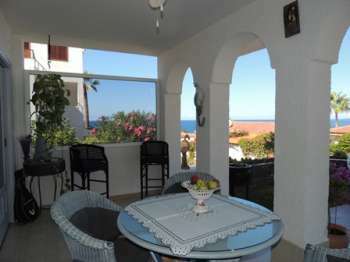 Gardens to the rear and front of the property with beautiful views of the sea cliffs and La Gomera . 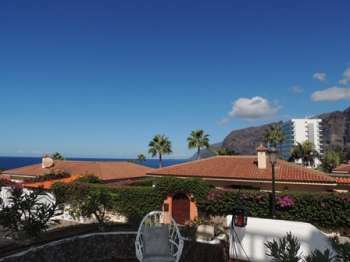 We provide a stunning property in traditional Spanish style , a covered terrace which offers majestic views of the ocean and the giants. 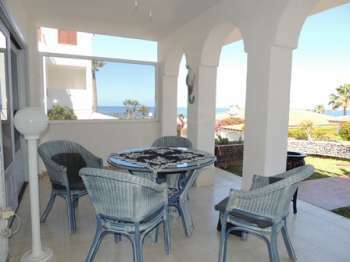 The large spacious lounge is designer styled with a contemporary feel, a large 42 plasma T.V, DVD library and bar seating area.Sliding doors to the terrace offer surprising views of the cliffs and ocean and yet a short walk to the village where there is every available alternative for dining and entertainment. 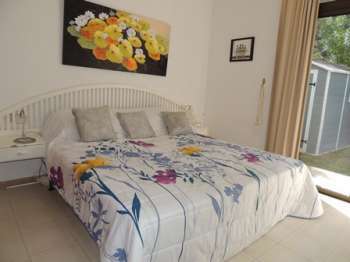 There are 3 beautifully furnished bedrooms with access to a rear patio/garden with all day sunshine whatever the time of year. 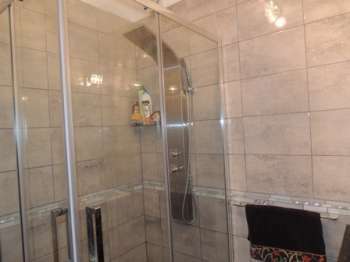 2 bathrooms provide 2 showers, bidets , and the master en suite has a bath. 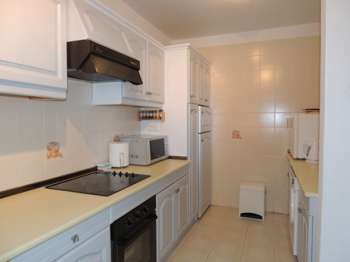 The kitchen is large and spacious, with all possible gadgets including electric grill/slow cooker/rotary fryer/ to enhance your stay. 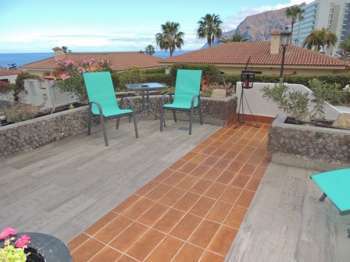 Rear terrace and Gardens. 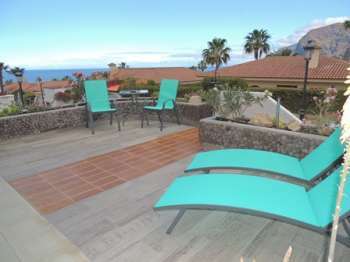 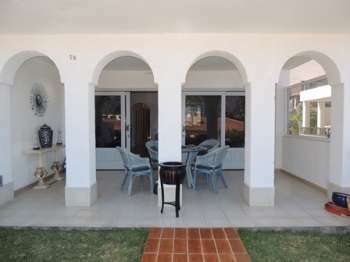 Front Terrace with patio furniture and sunbeds.